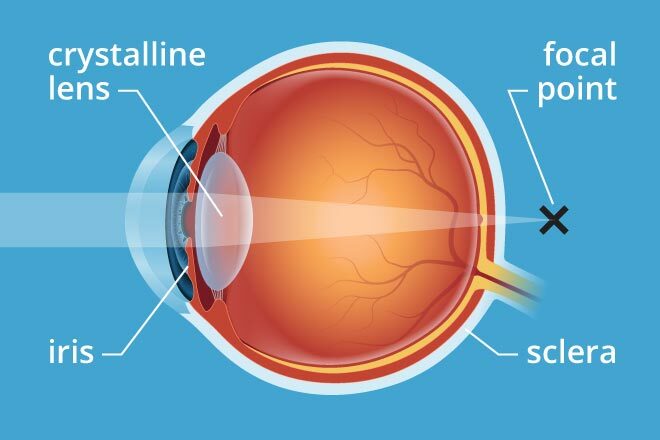 Presbyopia is a refractive error which results from a disorder rather than from disease. After age 40, the lens of the eye becomes more rigid and does not flex as easily. The result is that it is more difficult to read at close range. Personality type. There are emotional factors that effect how one’s vision develops. Blurred vision at normal reading distance. May also start experiencing problems seeing between 16 inches and three feet away as presbyopia progresses. Eye fatigue along with headaches when doing close work. 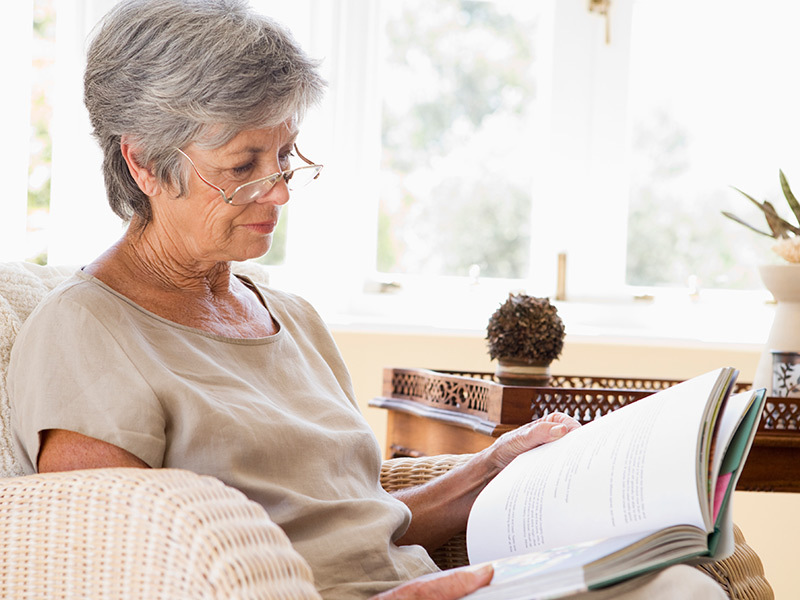 Some signs of presbyopia include the tendency to hold reading materials at arm’s length. If you’re nearsighted able to see near things more clearly presbyopia may not affect you until your late 40s or early 50s. But if you’re farsighted (able to see distant things more clearly) you can expect presboypia to settle in, much sooner than that . A general eye examination will be performed, including measurements to determine a prescription for glasses or contact lenses. Visual acuity – measures the smallest letters that you can read on a standardized chart at a distance of 20 feet. Slit-lamp – an instrument used with a high-intensity light source that can be focused to shine as a slit. It is used with the biomicroscope (an optical instrument that is like a microscope with two eyepieces). Presbyopia is commonly treated using corrective lenses cover the cornea, the such as eyeglasses or contact lenses. 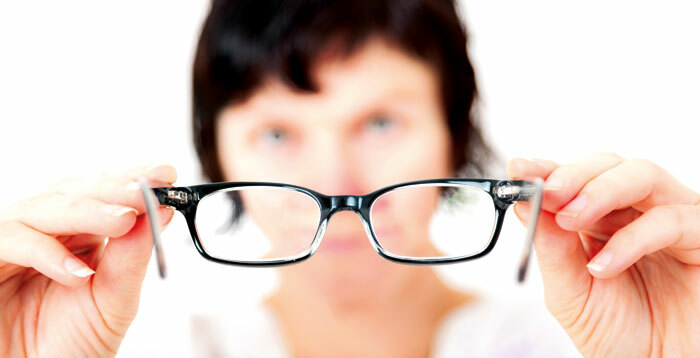 In some cases, the addition of bifocals to an existing lens prescription is sufficient. With the use of contact lenses, some people choose to correct one eye for near and one eye for far. This is called “monovision” and eliminates the need for bifocals or reading glasses, but can interfere with depth perception. Just keep in mind. If you opt for extended wear contacts you need to be vigilant about possible corneal problems. Remove the lenses promptly if your eyes becomes uncomfortable teary or red, your eyelids gets inflamed or your visions changes. A tiny artificial eye muscle may soon do the work of conventional glasses, helping both the near and the farsighted achieve perfect vision. Research from the University of new Mexico, in Albuquerque, announced in March 2002 that they were developing a ‘smart eye band’ that can be sewn onto the tough white outer part of the eyeball. From there, the device can temporarily squeeze the eyeball into the shape best suited for overcoming specific vision problems. For example, slightly elongating the eyeball brings close-up objects into focus, helping the farsighted to read. The artificial muscles consists of a synthetic compound covered by a gold coil that is activate by a magnetic field. The user controls the action with a switch hooked like a hearing aid over the ear. With nothing more than a press of a button, you can change your focus from the newspaper in front of you to the action outside the window with no loss of clarity – and there’s no looking around for where you left your glasses. The researchers hope the advice will be available in there to five years. Presbyopia is a normal part of the natural aging process, hence it is difficult to prevent its occurrence. A combination of visual therapy, nutrition, and lifestyle changes can help slow down the progression of presbyopia, and possibly even improve vision.